Serendipity is a beautiful thing. 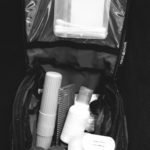 I happened to be in the market for a new toiletry travel bag when I came across NeatPack and learned they were looking for brand ambassadors. 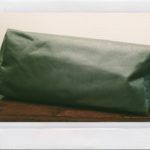 They sent me their compact hanging toiletry bag just in time for me to take it for a spin this past holiday weekend! My old toiletry bag was really a boxy thing that came as a gift with purchase from something my boyfriend bought years ago. It holds a ton of random stuff but trying to find anything in it is equivalent to trying to find keys in a purse. Frustrating and time consuming. No matter where I’m going I try to pack as minimally as possible. I don’t claim to always succeed. 🙂 When I first opened the package though I admittedly had a moment of panic. I knew it was compact but it looks so small! A little concerned, I set it aside until I was ready to start packing for the Labor Day weekend visit to my parents. Despite it’s petite appearance, the NeatPack compact toiletry bag holds a surprising amount! I’m happy to say it met my needs perfectly, and I still had a little room to add some things that I didn’t need for this trip but might want to pack in the future. Here is what I fit into the bag: travel size shampoo & conditioner, travel size body wash & lotion, travel size face scrub, full size deodorant, full size tube of toothpaste, toothbrush, razor, headache medicine, anti-bacterial ointment (we always have a first aid kit around but keep the perishables with our toiletries), full size itch relief gel (because mosquitoes can’t get enough of me! ), comb, q-tips, and a couple disposable make-up wipes. I love that they hang! 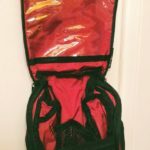 I hated leaving my old bag sitting on the counter taking up valuable real estate. Also, I have a weird affinity for bags with lots of pockets and zippers. This bag delivers. 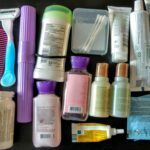 It was so easy to get organized and stay that way for the duration of a trip. 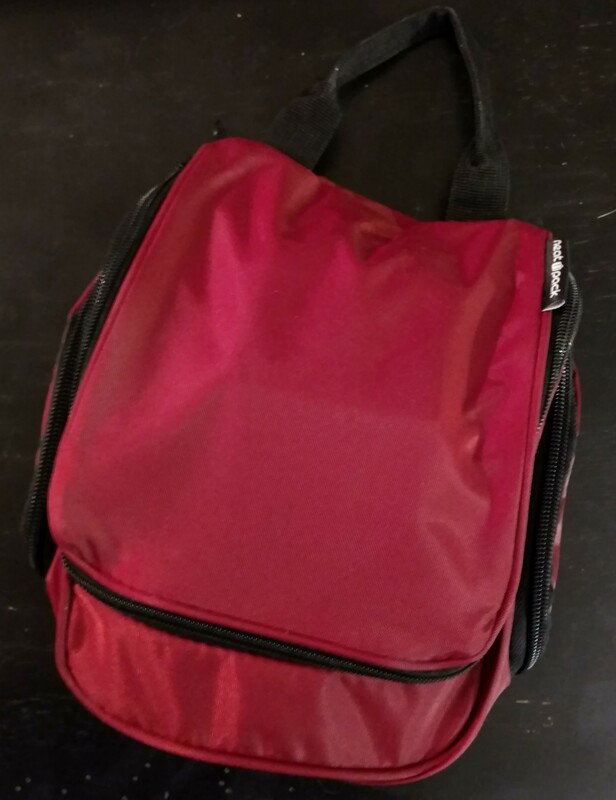 The bag also packs relatively flat and fit really well in my travel bag, unlike my old one! Everything fits in my NeatPack! There is a larger size that comes with a detachable TSA approved clear pouch for your liquids, and obviously more space overall. I might pick one up as an alternative for a long trip. For a weekend or week long trip though the compact is more than adequate for me, but I’m ultra low maintenance and don’t have many daily products. 🙂 Knowing what the compact holds for me will hopefully help you decide if you should go small or large. If you would like to get a NeatPack of your very own, and get 10% off of your purchase, use my code: Zestyt10. They also have great backpacks, duffles, and packing cubes (which I think are next on my list!). You can find them all on Amazon.com and they are Prime eligible! Don’t hesitate to reach out if you have any issues using the code or have any other questions. If I don’t have the answer personally, I will make sure someone from NeatPack contacts you directly.